Book 2 day trips from Koh Samui with us for US$ 270, 3 days for US$ 402, 4 days for US$ 531, or 5 day tours for US$ 660. 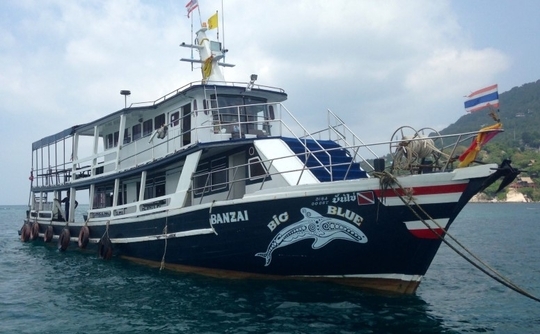 You do NOT need to pay the full amount in advance when you book your Samui dive daytrips with us. We require only a 15% deposit to confirm your booking, and the balance is paid on arrival. 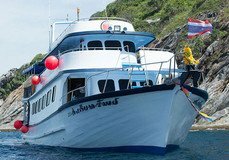 For more information on these dive sites, visit: Koh Samui dive sites. 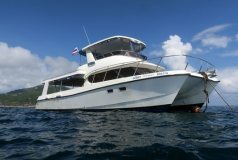 Koh Samui hotel to/from boat transfers, breakfast, lunch, fruit, soft drinks, drinking water, dives, professionally qualified divemaster, and taxes. the use of rental dive gear is approx. US$ 6 per person per day, dive computer US$ 8, dive insurance. Unless otherwise stated, all the listed items need to be paid on arrival. There are no hidden extras in the trip prices quoted to you. 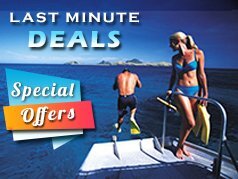 Non-divers and snorkellers from US$ 91 per day.